Move over scalloped potatoes, this dreamy Pommes Dauphinois AKA French Potato Gratin is the king of potato casseroles! 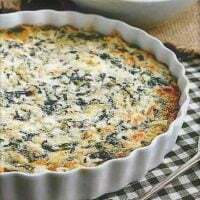 Kissed with thyme and topped with a nutty Gruyere cheese, this gratin is perfect for holidays, Sunday family dinners and more. I’m usually lazy when it comes to adding potatoes to the menu. Baked or sliced and fried are my fall back methods. On occasion I’d whip up this scrumptious Cheesy Hashbrown Casserole Recipe. But some meals call for a more gourmet treat. 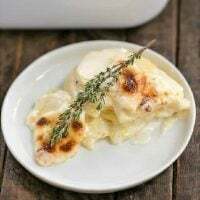 Rich and creamy, flavored with garlic and a touch of thyme, Dorie Greenspan’s French Potato Gratin cannot be rivaled. 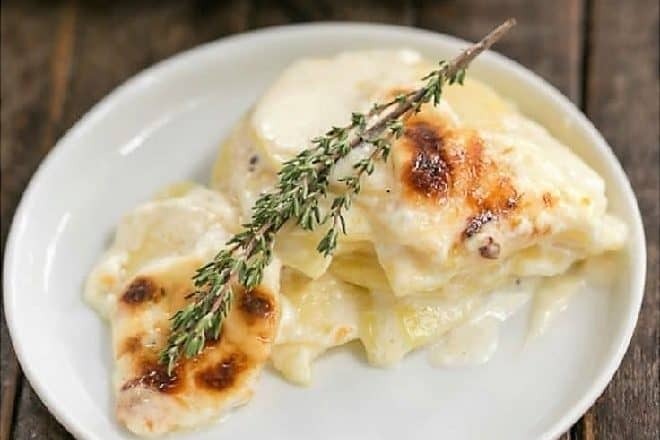 Thinly sliced potatoes are bathed in cream and topped with a generous sprinkle of Gruyere cheese. It’s best in small quantities, even though you’ll want seconds and thirds! I first shared this recipe in 2010 as part of my collaboration with Dorie Greenspan and her cookbook, Around My French Table. It was our 6th week of French Fridays with Dorie. The family was smitten and it became my go-to potato dish for holidays. This is a rich, satisfying potato dish that’s worthy of any holiday or dinner party! Here are a few tips for making it perfect every time. PRO-Tip: Aim to cut all your potatoes the same thickness. Dorie, the cookbook author, suggests 1/8-inch thick. This ensures they’ll all be cooked and perfectly tender at the same time. Use a mandoline or a benriner to make the slicing more consistent. Make sure to use a hand guard so you don’t cut yourself! PRO-Tip: Place a sheet pan under the casserole dish when baking. Nothing worse than having to clean burnt on food from the bottom of your oven when a baking dish overflows! I like to line the baking dish with foil, too, for easy cleanup! Use a knife to check the potatoes for doneness. Pierce a few different potatoes to see if your knife goes in easily. Any resistance and the dish needs more cooking time. Let the dish rest for 10 minutes before serving to allow the steaming cheesy cream cool and thicken a bit. 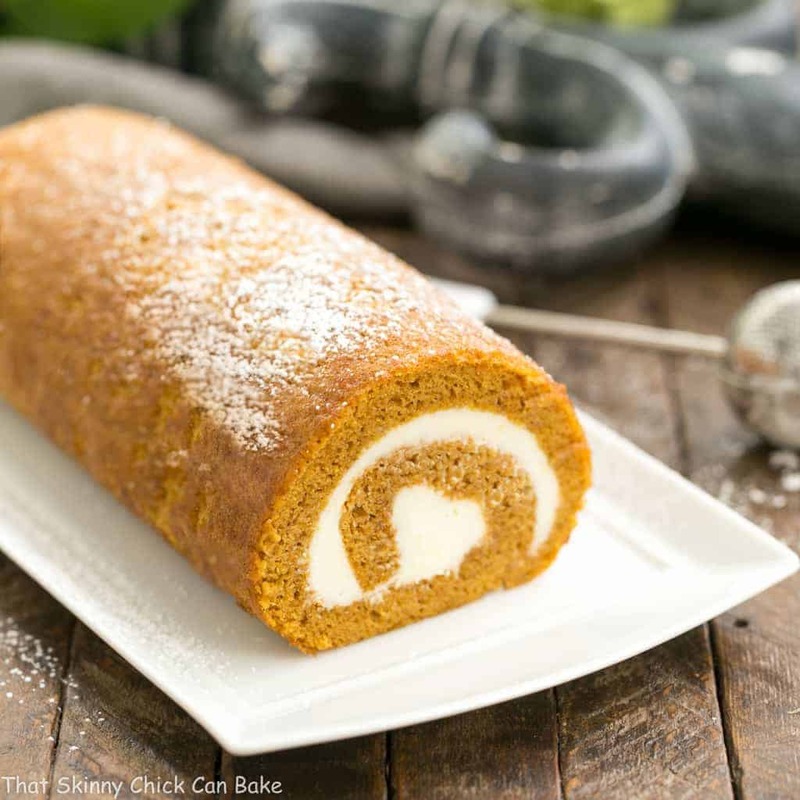 You may not want to mention the amount of cream when you serve this to friends and family. 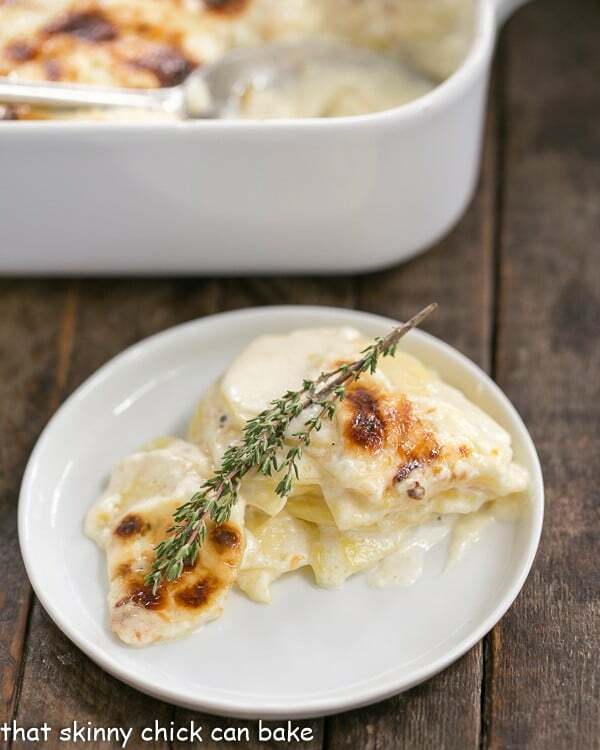 This French Potato Gratin is definitely a special occasion dish. And an exquisite one at that. Just watch your portion sizes! If having potatoes at most special meals is a must at your house like at mine, check out my Cheesy Potato Galette, Hasselback Potatoes with Parmesan and Thyme, this Easy Puffed Potato Casserole (don’t tell anyone, but I use Instant Potato Flakes in this! ), and this Hasselback Potato Casserole. From my blogger friends, these have caught my eye: Loaded Mashed Potato Cakes from Spend with Pennies, Homemade Sweet Potato Chips from Rachel Cooks and Crispy Cheese and Bacon Potatoes from Barefeet in the Kitchen. 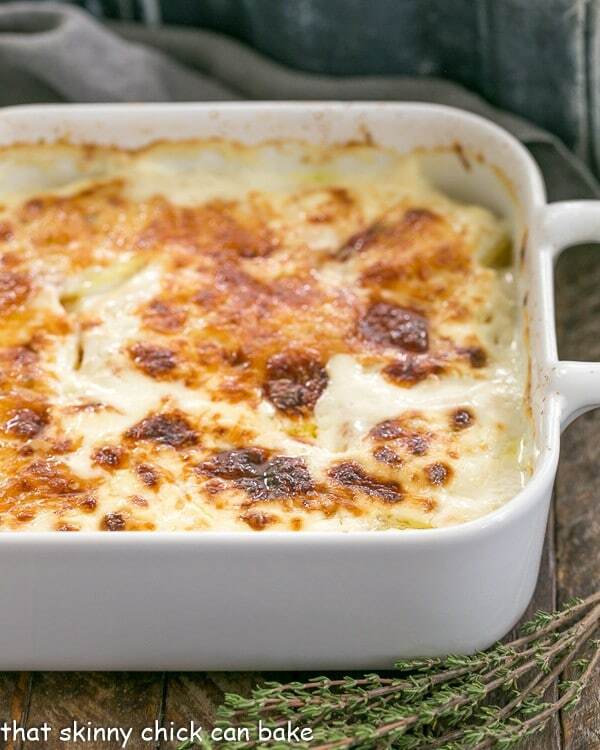 A exquisite creamy potato casserole kissed with garlic, thyme and topped with Gruyere cheese! Preheat to 350°. Generously butter 2 quart baking dish. Place pie dish on rimmed baking sheet. Combine cream and garlic in small saucepan and bring to simmer over low heat. Cover and remove from heat. Arrange ⅓ of potato rounds, slightly overlapping, in the prepared baking dish; sprinkle with ½ teaspoon thyme and season lightly with salt and pepper. Pour ½ cup garlic cream over. Repeat layering 2 more times with remaining potato, thyme, salt, pepper, and garlic cream. Pour remaining garlic cream over, then ¼ cup milk. Sprinkle cheese over the surface. 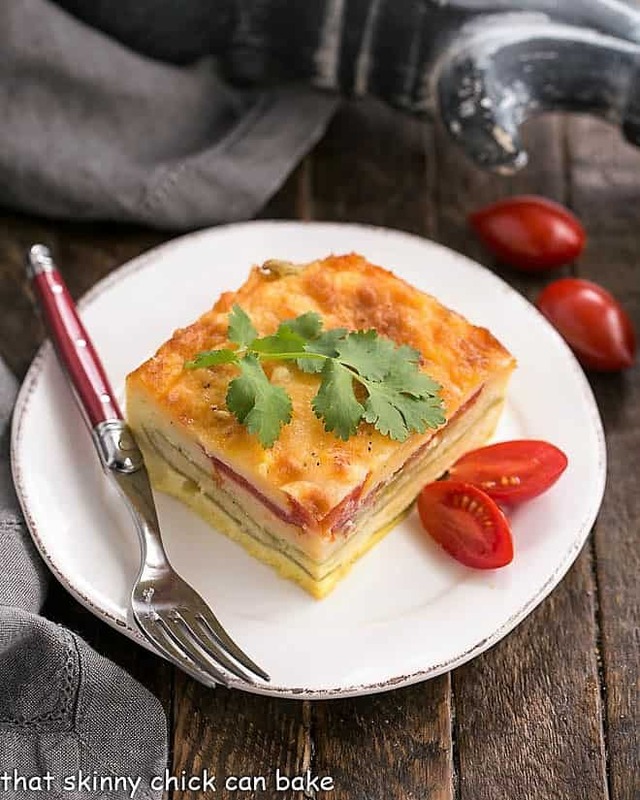 Bake gratin until golden on top and potatoes are very tender when a sharp knife is inserted, 1 hour to 1 hour 10 minutes (cover with foil if the top starts browning too quickly). Let the potatoes rest 10 minutes before serving. 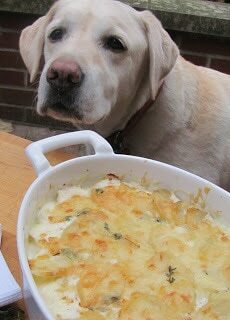 Miss Lambeau’s nose is keenly aware of a delectable dish! Looks truly yummy. Evenly sliced potatoes too! I am so thrilled to hear that all Dorie’s recipes made so far are winners. We love Potatoes Gratin …….yummy. Thank you, Cakelaw, KY and M!!! M,Lambeau just turned 11…she is the sweetest thing!! Aren’t yellow labs the best? Gosh, these potatoes look good. 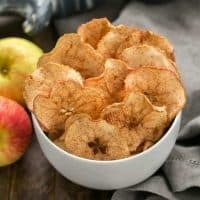 Melissa d’Arabian has an excellent potato recipe, too, and it’s fairly easy. Lambeau is a cutie as always. Sis. Boom, I’m doing the chicken tonight…hope yours was good! Carole, yeah, I’m the envy of the neighborhood! I’ve made Melissa’s potatoes, too, after your endorsement…yummy, but these are even better! Lizzy-The ultimate potato comfort food. Dorie’s Potato Gratin. You did a marvelous job with it, and very nicely illustrated it, with beuatiful presentation! 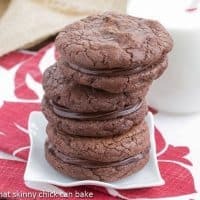 You ALL will love these! Not a difficult recipe, at all, but the results are superb!!! Liz, the potato gratin looks wonderful. I think I really need to get this book. You’ve made so many wonderful looking dishes. I love seeing Lambeau in your pictures. Thanks, Patti, Scrambled, and Lana! Definitely worth making again and again! Thanks, Paulette! You won’t regret buying this one! I love all the ingredients in her and have them in the house. I think I will try them on everyone before the holiday.. so much more delicious than just the ho hum mashed potato for Thanksgiving! thanks Liz! This casserole has the most gorgeous velvety texture – I can only imagine how fantastic it must taste. Thanks for sharing – just in time for the holidays! 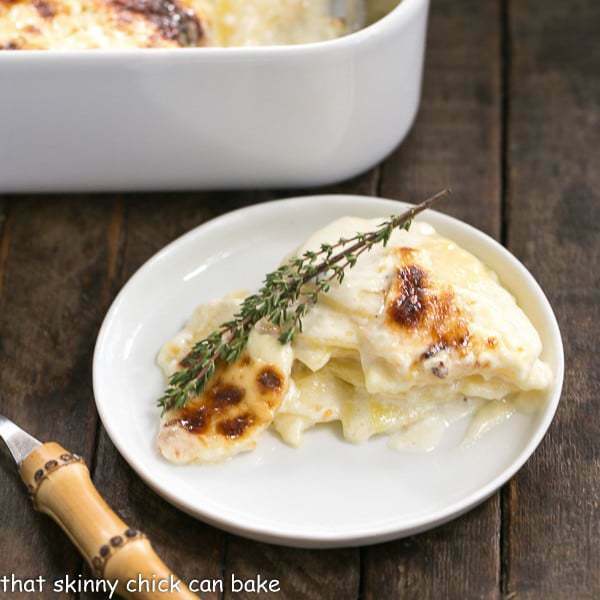 i love french potato gratin and this looks amazing ! Potatoes and Gruyere cheese? There ain’t nothing wrong with that!!! Potato gratin is such a fabulous dish! My favorite has always been the one at Capital Grille, but I need to make it myself. This looks so creamy and delectable! I’ve save to make it. I haven’t made a potato gratin in like forever! Looks divine!!! Thanks for sharing. That image is just gorgeous, Liz.. I ‘d love a spoonful of it on my plate anytime! One of my favorite potato casserole dishes. You are right, it is very rich but perfect for the holidays when you are being indulgent. Oh my, these are scrumptious looking potatoes , just perfect for the upcoming holidays. Oh Lizzy – those potatoes look and sound SO delicious! Hitting the print button right now. I don’t often indulge in potatoes but a gratin is something I find difficult to turn down. 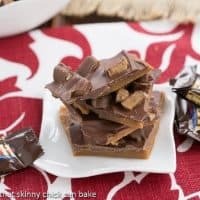 This recipe looks wonderful and perfect for the coming holidays. My friend T is hosting thanksgiving dinner but ill make sure she lets me bake this gorgeous dish up. This is one of my favorite ways to cook potatoes, although I wouldn’t typically put cheese on top although I know some do. Looks great! Liz it just doesn’t get much better than this. One helping is more than enough, like you said, more than that even though tempting will totally stuff your belly. I’ve forgotten about her book that sits on my shelf. I’ll have to pull it out. My family and friends would love this. Let’s face it, who wouldn’t? When one sees the dark brown on top of gratin potatoes, you know it’s done right and is going to be utterly delicious! Happy Thanksgiving Liz! 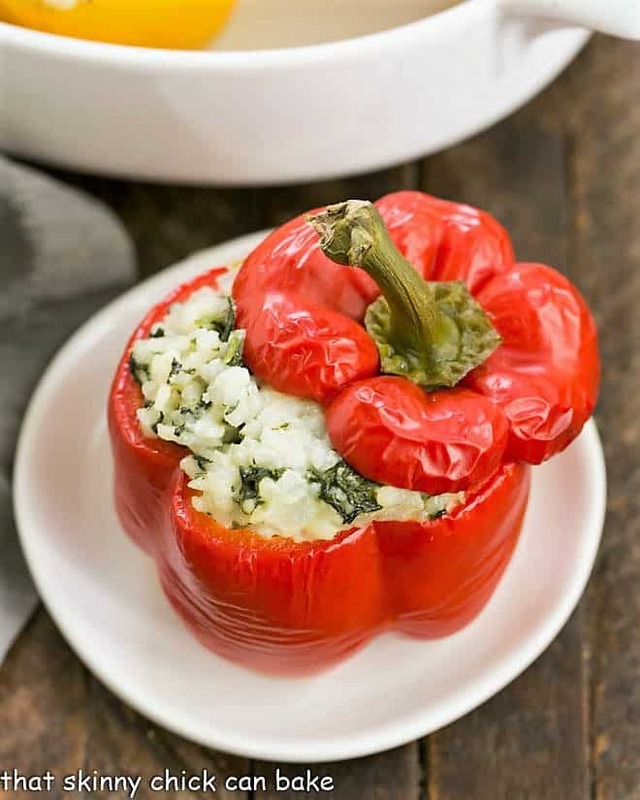 These would be delicious with our prime rib dinner! First of all, this is a truly amazing recipe. So simple, and yet so (so,so,so,so,so)delicious. Second, it’s perfect for a meatless meal. Third, it’s super versatile, as you can try it with a myriad different herbs/spices/cheeses! Oh dear Liz, wish we could send you some good Naxos graviera….! A foodie like you would really appreciate the flavors and the buttery flavors. This is my favorite side dish for holidays and parties! It’s a huge crowd pleaser. Thank you for the wonderful recipe! The gruyere in this is a must! Total decadence and so worth it! Gruyere and thyme make potatoes so dang good!!! I loved it! Such a gorgeous treat!! Great side to pot roast!